Can you believe it ? We're in the last few days of 2015, with 2016 on the horizon! I had started blogging about three years ago around this time. I posted sporadically when I felt like it, and than 6 months ago Letters to LALA land became more of a focus! I thought that I would round up some of my best posts - from fashion to travel to food to give you some Winter reading material! Yellow daisy dress: This has to be one of my personal favourite outfits. It's simple and bright which is a huge change from my very black OOTD's that frequented letters to LALA land. 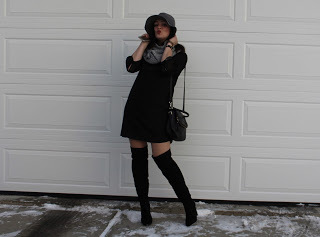 This OOTD is surprisingly one of the most read and popular posts. I searched for a perfect paid of OTK boots and these won. 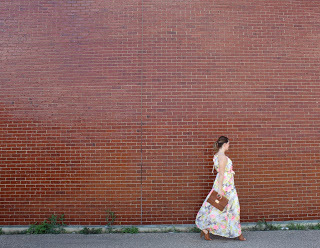 2015 was filled with maxi dresses and skirts. This dress has to be my favourite as its comfortable and girly. This midi dress was a little out of my comfort zone but I needed to stop out of my comfort zone and be a little more out there. There is no going back now. If there is one OOTD that says "This is Nermisa" I believe this would be it. Black head to toe, ripped jeans, leather jacket and high heels. 2015 was a great year, and in huge part it was great Thanks to you. Thank you for you continued support.